Posted April 26th, 2017 by Jenny & filed under Uncategorised . 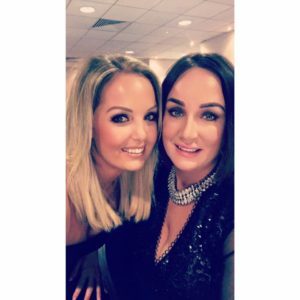 This month I had the pleasure of attending London’s permanent makeup conference hosted by Theresa Wild. It was a 3 day conference which I thoroughly enjoyed and was so pleased that I went. It was held at the Arora hotel near Gatwick, so I had a cheeky 3 nights stay there also to save my travelling, any excuse! 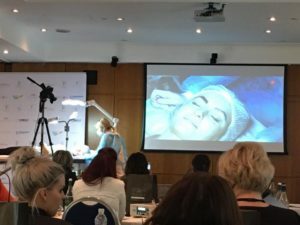 The 3 days consisted of live demonstrations from many amazing technicians from around the world, sharing their tips and techniques on advanced permanent makeup treatments. 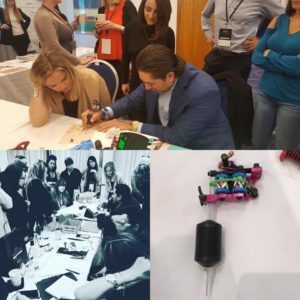 While some demos I had already trained in I was keen to be there for the 3 days as I really believe that you can never learn enough even it your repeating training! It was also a great opportunity to network with fellow techs in the industry. Sometimes working alone can be a lonely time and although the forums and online groups we have are great, meeting people in real life is always best, giving us the chance to share experiences with each other and support each other. I have now made many friends within the industry and its great that we can all call upon each other if need be. Techs had travelled from all round Europe and even America and Australia for this conference, which is also great to talk to techs and learn about their treatments etc. On the second evening we enjoyed a gala dinner with the trainers and techs together, the food was lovely and lots of bubbles were flowing! We all had such a great evening, especially with Craig from Scalp micro UK entertaining us with is accent impressions – he really should be on the stage! Day 3 there were a few less faces in the conference, not sure if the alcohol the night before got the better of some people! I was so glad I stayed as watching Chuni Beaulo from Germany and Valentina from Italy demonstrate were among some of the most amazing results I’ve seen. Please follow my new account on Instagram called @cadercosmetics for all updates on my semi permanent makeup work and training. Below Is a picture of the amazing Will Anthony from Florida showing me his own device called the PRINCE COIL which is great for Smokey eyelash enhancement. I bought this little beauty so stay tuned for pictures!